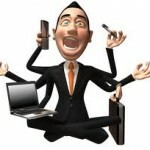 While Corporate job is a mix of work, money, rewards, challenges, frustration, fun, layoffs, learning and more. Entrepreneurship on the other hand is pure challenge. Working in a corporate, feeling like a small fish in a big pond, dreaming to do BIG in life, entrepreneurship is one thought that comes to bright minds. But hold your thoughts for a moment, entrepreneurship is not the game for everyone. Very few start-ups actually make big success. The idea of entrepreneurship is not about making it success or making money, biggest motivation is to innovate and try to excel in whatever way. Leaving a corporate job can be the biggest or sweetest mistake in life. The decision itself is the boldest and most-fulfilling decision, if choice is correct eventually. First of all, pat your back if you are getting a chance, only a novel few reach this stage. Don’t get excited yet, first lesson entrepreneurship teaches is of keeping your cool. Second, evaluate the idea. Openly discuss with senior guys with whom you have mutual understanding and trust. If needed, sign an NDA upfront. Third, be prepared to negotiate with yourself, your family and your seniors at job. It is your life and your career, listen to everybody, do yours. Respect and stick to your decision. Fourth, look into yourself if you have the skills required for the new role. Do you have the leadership qualities, technical acumen? Fifth, evaluate your mental strength. Entrepreneurship is all about anxiety. You will have more bad days than good days. Seventh, if starting along with co-founders, meet and understand the core team well. How well do you complement and supplement the core team. Although those corporate perks are continually going away. Not too many corporate people can say they know they will have a job in 6 months. Also corporations are offering less opportunity for wage increase, payment for furthering education and retirement matching is not a given. This is why I just started my hand at starting a business….I figure there is plenty of risk staying at a corporation….at least this way I control my success. I think it is an exciting time where we will see a lot of new business ideas as after effect of corporate instability. One of the best decisions I have ever made for myself and my future was to finally venture out of the corporate world and into my own realm. It’s challenging, but what isn’t that is worth anything? It has it’s benefits, and it’s downsides. But I never regret a single moment. Take the leap! Our economy depends on small businesses.